Founders House Publishing LLC, 9781945810053, 134pp. 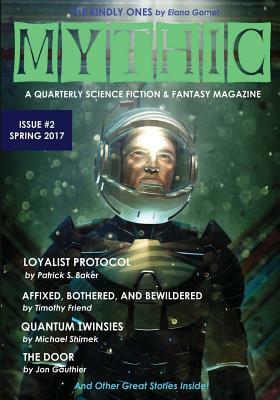 In the second issue of MYTHIC we present a new collection of all new science fiction and fantasy stories that strive to entertain our readers. Some stories offer thought-provoking insights into humanity while others provide light-hearted romps in time and space and parts in between.